Holly Smale, 32, started modeling at 15 before leaving the industry to study English Literature and an M.A. at Bristol University. 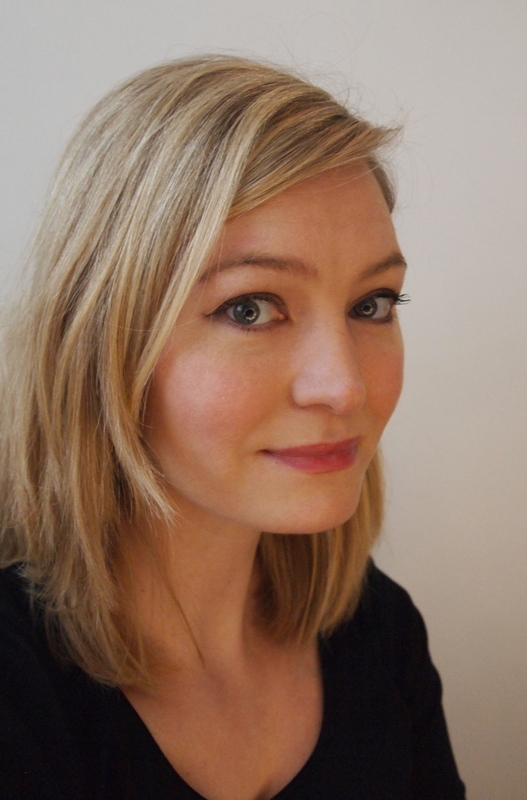 She is the author of the very successful blog The Write Girl and the novel, Geek Girl (Harper Collins), is out now. Single, she lives in South London. 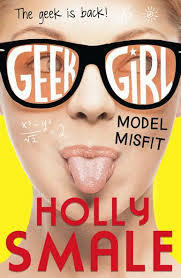 Geek Girl: Model Misfit is published by HarperCollins at £6.99 RRP. I have this terrible urge to travel that builds and builds inside me until it just goes pop and I have to leave. It’s a very powerful drive. When I finished Geek Girl I turned to my parents — I was living at home at the time — and said: ‘I’m going travelling to India and Nepal. In three days.’ They were used to it by then and I could see them steeling themselves for the phone calls in the small hours because the truth is I am a very klutzy traveller. I do things like leave my bank card on a bus or get mugged – I’ve been mugged twice, once in Hollywood, which rather took the edge of the glamour, and once in Australia. I realise I am meant to be a grown up now, so I have to stop relying on my parents to bail me out – I’ve recently discovered travel insurance, much to their relief. I probably get my love of travelling from my dad. My mum doesn’t like it at all, which is probably why when we were little we stuck relatively close to home, France and Italy, but once my sister and I got a little older my dad insisted on something more adventurous – Egypt, Dubai, Morocco. So, after Geek Girl, I did head off three days later to Delhi and it turned out to be more of a culture shock than I was prepared for and I did have a little bit of a weepy meltdown. I had lived in Japan for two years, working as a teacher, and I thought I could cope with any alien culture after that. But India was on another level. But the meltdown passed, I began to enjoy myself and the country, and I travelled to Varanasi on the Ganges, which is about as remote from clean, ordered Japan as you can get, and on to Goa and then flew to Nepal where I sat in the rain for three weeks. It wasn’t the wet season – it was meant to be dry. But it just poured every day. The teahouses were full of miserable looking climbers in their fleeces and hiking boots. It was like waiting for a bus – I should have given up but after a few days I thought, I’ve invested so much time in this, what if I leave now and tomorrow it clears up? And every weather forecast always said it would. I went to Pokara with its lake and the Anapurna range as a backdrop, which is meant to be stunning – and the mist was down to the water. In the end I left Nepal without seeing a mountain, which must be some sort of record. I think I got my taste for travelling alone from a school trip to Moscow, which actually allowed us a lot more freedom than that suggests, it certainly seemed freer than travelling with parents. So once I finished school I took a gap year and headed for Australia by myself. To be honest, I am not sure I really plugged into the country, more the backpacker trail, meeting other people from home. But I was eighteen, so it was first steps. I did get to see the Whitsunday Islands, perhaps the most beautiful place I have ever seen in my life. And seven years later, I was living at home again and trying to write a very serious book about, well, about death and I think I was driving my parents mad being terribly artistic. My dad thrust a newspaper and under my nose for ‘the best job in the world’, as ‘caretaker’ of Hamilton Island in the Whitsundays. So I applied and I did get to the last batch of fifty but then in interview admitted I really wanted somewhere to finish a book. Which, quite rightly, scuppered my chances. So having not got that I decided I had to do something and I went off to Japan. I was offered a chance to go there when I was modelling, but my mum said no and I was secretly relieved – I was only 15. I spent some time teaching English through drama in Yokohama but then moved way south to Nichinan, a little fishing village and I taught the children of the fishermen and rice farmers English. The nearest city was Myazaki, over an hour’s drive away and it was also the closest Starbucks. So every few weeks I’d get on my scooter and do a Starbucks run along the coast road. It is a fabulous part of Japan – the climate is Mediterranean, there are palm trees and my parents came to visit and thought it was like the Riviera. And the beautiful beaches are all empty. The Japanese do not sunbathe, it is culturally unacceptable – only surfers get away with a suntan — so if you saw anyone laid out on a towel on the beach, you could bet it was a foreigner, of which there were about twelve in the whole region. The problem with having spent so long in Japan is that it has spoiled me for everywhere else. By the time I left after two years I felt I was finally getting under the skin and it’s made me realise what a superficial experience most of our travelling is. I really want to go to China, but I don’t want to just tick off the sightseeing boxes. Still, I can’t let that put me off – I added up recently that I’d been to 21 countries so far and I started hyperventilating in panic – it’s just not enough. I’ve got to get travelling again, I can feel my inner nomad ready to pop. This entry was posted in Uncategorized on October 15, 2013 by Robert Ryan.